Week 16 of the 2011 NFL season has come to an end after a great finish on Monday night by Drew Brees and the New Orleans Saints thrashed the Atlanta Falcons en route to the NFC South division title and Drew Brees breaking Dan Marino’s 27 year old record for most passing yards in a single season at 5,084. This is the second time Brees has reached 5,000+ passing yards in a season. Brees needed seven yards in the 4th quarter, and threw a nine yard touchdown pass to Darren Sproles to break the record and up the Saints beat down to 45-16. The Saints offensive line bum rushed Brees after the record breaking pass as did the extra point team as they came onto the field. Drew was given the ball and celebrated with the crowd to record breaking touchdown pass as Saints coach Sean Payton took a timeout to take in what had just happened before the extra point was attempted. With the win, the Saints lock up the NFC South division, a first round home game, and still have a chance for a first round bye if the 49ers lose next week and the Saints beat the Panthers. The loss moves the Falcons down from the 5th seed to the 6th seed and would tentatively make Atlanta come back to New Orleans in the first round of the playoffs, unless Atlanta can beat Tampa Bay next week and Detroit loses to Green Bay, then Atlanta would go to Dallas or New York in the first round and Detroit would go to New Orleans, or maybe even San Francisco. Also happening over the weekend, the New York Giants beat the New York Jets in the battle for New York bragging rights, 29-14. The win keeps the Giants in the NFC East race and they can win the East if they beat Dallas at home next week. The loss knocks the Jets down from the six seed, and into the hunt as the Bengals win over the Cardinals puts them in as the 6 seed. The Bengals can clinch the 6 seed next week with a win, or losses by the Jets, Titans, and one of the Raiders or Broncos. Any one of those teams can win the final wild card spot, but the Jets have the tough road needing a win down in Miami, and need losses by all of Cincinnati, Tennessee, and one of Denver or Oakland. So any one of those five teams can win the final playoff spot. One thing to note is, is that one of Oakland or Denver will in the West division, so the loser can still get in as the wild card entry as long as they win and get some help. The Green Bay Packers defeated the Chicago Bears on Christmas night, 35-21 clinching home field advantage in the NFC, and officially eliminating the Bears from playoff contention and sends them reeling on a five game losing streak going from 7-3, to 7-8. Aaron Rodgers has broken many Packers record this year, including passing yards and passing touchdowns by a Green Bay QB. Now it is time for this weeks top 12 power rankings, it is the second to last edition of the season. Hope you all enjoy, and if you disagree, leave a comment. 1)Green Bay Packers (14-1) defeated Chicago Bears 35-21. Last week (1). The Packers lock up home field in the NFC and can rest their stars week 17 if they choose to do so. 2)New Orleans Saints (12-3) defeated Atlanta Falcons 45-16. Last week (2). The Saints destroy the Falcons and will get a first round bye in the playoffs if they win next week and San Francisco loses. 3)New England Patriots (12-3) defeated Miami Dolphins 27-24. Last week (3). The Patriots, once down 17-0 in this game roar back in the second half thanks to Tom Brady and Wes Welker. New England can lock up the #1 seed with a win next week, or a Baltimore and Pittsburgh loss. 4)San Francisco 49ers (12-3) defeated Seattle Seahawks 19-17.Last week (4). The 49ers survive a late scare by the Seahawks and allow their first rushing touchdown of the season in the process, but they did win and are clinging to the #2 seed in the NFC. 5)Pittsburgh Steelers (11-4) defeated St.Louis Rams 27-0. Last week (6). The Steelers destroy the Rams without Ben Roethlisberger. Pittsburgh can clinch the 2 seed with a win vs Cleveland and a Baltimore loss to Cincinnati, not only that, but they can clinch the #1 seed as well if they can get a New England loss as well. 6)Baltimore Ravens (11-4) defeated Cleveland Browns 20-14. Last week (8). The Ravens move on to 11-4 and can clinch the #2 seed with a win or Pittsburgh loss. Also can clinch the #1 seed if they win and New England loses. 7)Detroit Lions (10-5) defeated San Diego Chargers 38-10. Last week (9). The Lions thrash the Chargers at home and clinch their first playoff berth since 1999. They hold the #5 seed and can keep that seed with a win or ATL loss. 8)Atlanta Falcons (9-6) lost to New Orleans Saints 45-16. Last week (7). The Falcons get decimated in the NOLA and if everything remains the same with go back to New Orleans in two weeks in round one. 9)Houston Texans (10-5) lost to Indianapolis Colts 19-16. Last week (5). The Texans are on a two game losing streak, have the #3 seed locked up and will face on of Cincinnati, Tennessee, Oakland, Denver, or New York in the first round. 10)New York Giants (8-7) defeated New York Jets 29-14. Last week (N/R). The Giants win the battle of New York and are in control of their playoff destiny. 11)Cincinnati Bengals (9-6) defeated Arizona Cardinals 23-16. Last week (N/R). The Bengals control their playoff destiny thanks to a Cardinals gaff at the end of their game that could’ve sent it to overtime. 12)Dallas Cowboys (8-7) lost to Philadelphia Eagles 20-7. Last week (10). Tony Romo has a bad hand but is expected to play against the Giants on Sunday night where the winner will win the NFC East and host either Detroit or Atlanta in the first round. NFC Player Of The Week: Green Bay Packers QB Aaron Rodgers – 21 of 29, 283 yards, 5 TDs, 0 INT. HM: Detroit Lions QB Matthew Stafford – 29 of 36, 373 yards, 3 TDs, 0 INT. AFC Player Of The Week: Houston Texans RB Arian Foster – 23 carries, 158 yards, 1 TD. HM: New England Patriots QB Tom Brady – 27 of 46, 304 yards, 1 TD, 0 INT. Upset Of The Week: Buffalo Bills defeat Denver Broncos 40-14. HM: Philadelphia Eagles defeat Dallas Cowboys 20-7. HM: New York Giants defeat New York Jets 29-14. 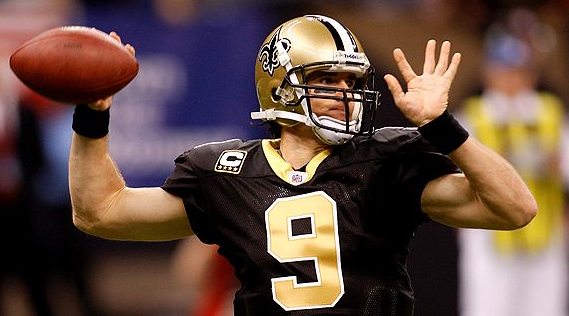 1.New Orleans Saints QB Drew Brees. Last week (1). 2.Green Bay Packers QB Aaron Rodgers. Last week (2). 3.New England Patriots QB Tom Brady. Last week (3). 1)Minnesota Vikings DE Jared Allen. Last week (1). 2)New York Jets CB Darrell Revis. Last week (3). 3)New York Giants DE Jason Pierre-Paul. Last week (N/R). 1)Carolina Panthers QB Cam Newton. Last week (1). 2)San Francisco 49ers LB Aldon Smith. Last week (2). 3)Arizona Cardinals CB Patrick Peterson. Last week (3). This entry was posted on December 27, 2011 by stevep. It was filed under Uncategorized . I don’t normally comment but I gotta say thanks for the post on this amazing one :D.
I really appreciate this post. I’ve been looking everywhere for this! Thank goodness I found it on Bing. You’ve made my day! Thanks again! “All that is gold does not glitter not all those that wander are lost.” by J. R. R. Tolkien. Thanks for sharing superb informations. Your web site is very cool. I’m impressed by the details that you have on this website. It reveals how nicely you understand this subject. Bookmarked this web page, will come back for extra articles. You, my friend, ROCK! I found simply the information I already searched all over the place and simply couldn’t come across. What a perfect web-site. It is truly a great and helpful piece of information. I am satisfied that you simply shared this useful info with us. Please stay us informed like this. Thanks for sharing. Nice read, I just passed this onto a friend who was doing a little research on that. And he actually bought me lunch because I found it for him smile Thus let me rephrase that: Thanks for lunch! “How beautiful maleness is, if it finds its right expression.” by D. H. Lawrence. Very interesting points you have noted , appreciate it for posting . “Whatever one man is capable of conceiving, other men will be able to achieve.” by Jules Verne. Hi my friend! I want to say that this article is awesome, great written and come with approximately all important infos. I would like to look extra posts like this. Thanks for the sensible critique. Me & my neighbor were just preparing to do a little research about this. We got a grab a book from our area library but I think I learned more from this post. I’m very glad to see such excellent info being shared freely out there. I like what you guys are up too. Such smart work and reporting! Carry on the excellent works guys I have incorporated you guys to my blogroll. I think it will improve the value of my website :). “The bigger the information media, the less courage and freedom they allow. Bigness means weakness.” by Eric Sevareid.